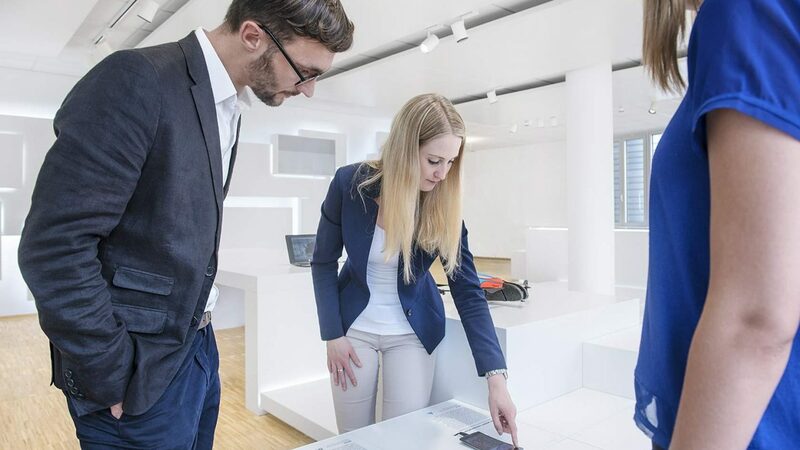 Technology pioneer Bosch Sensortec´s new showroom lets visitors from all around the world experience technologies that make consumer goods electronics fit for interaction with the digital world. 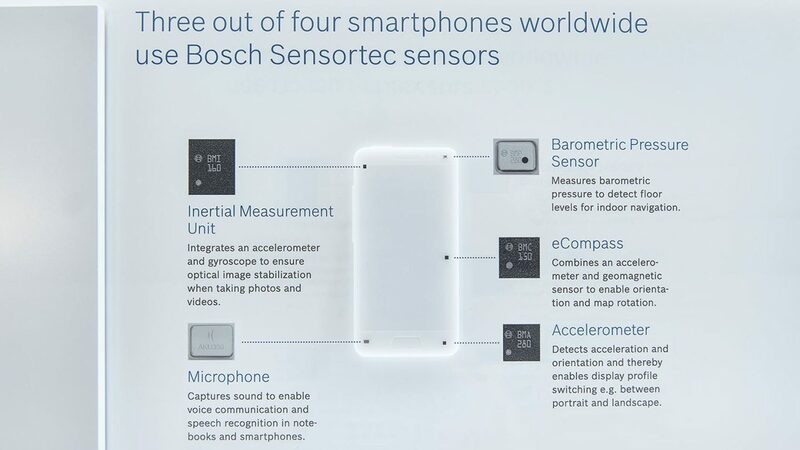 Bosch Sensortec is the world's leading provider of innovative sensors and solutions based on MEMS technology for the consumer electronics market. Their products enable new applications for the field of entertainment electronics, wearables or the Internet of Things (IoT). 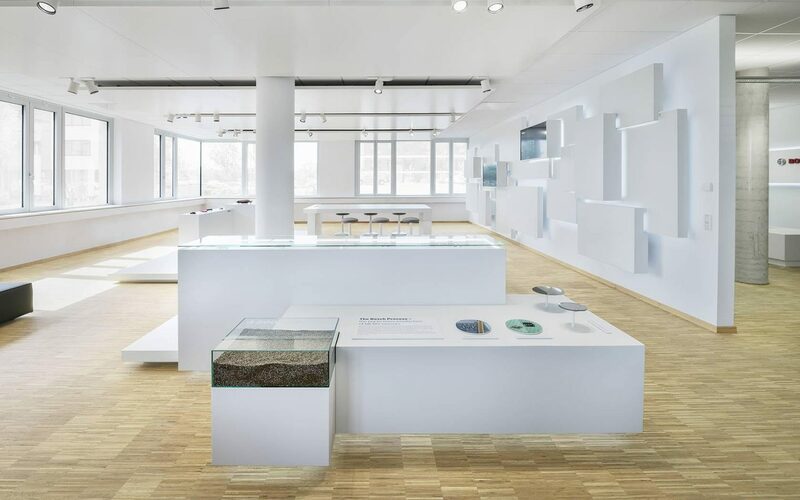 Together with an interdisciplinary team on the client side, Milla & Partner designed and implemented the showroom at the company's location in Reutlingen. 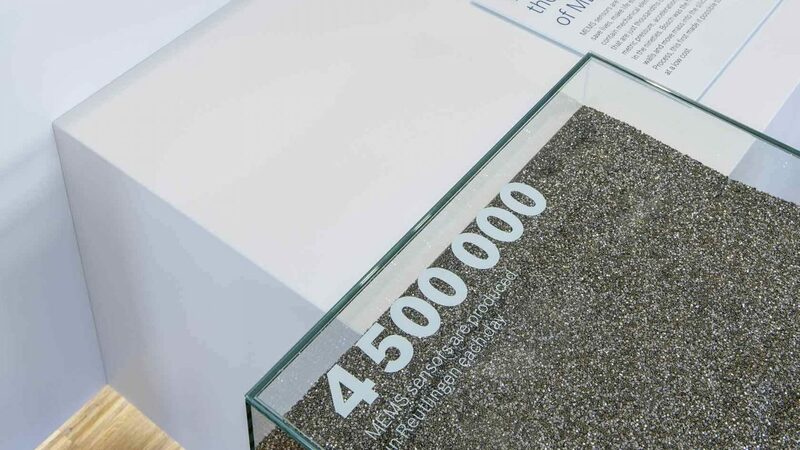 Here, over four million MEMS sensors are produced every day. Following the motto "Sensing our world", visitors can learn hands-on exactly what's inside these midgets. With reception and waiting lounge in a loose sequence of spaces, the showroom immerses visitors into the world of sensors and connectivity. 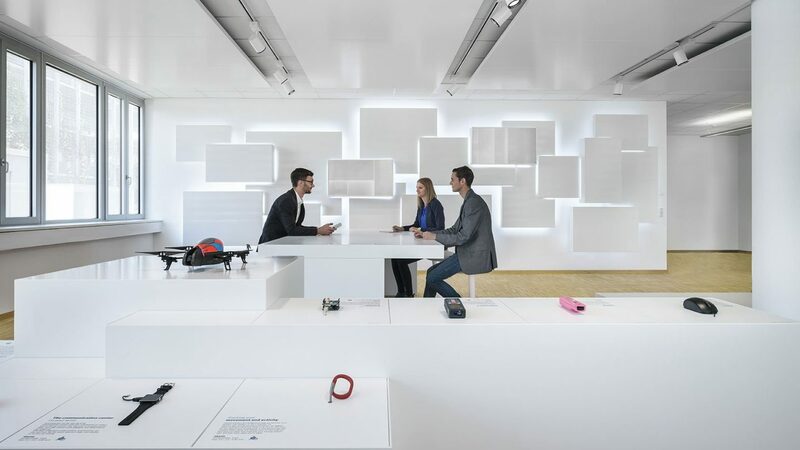 Spatial key visual for the new quality of networking at Bosch is the light-pulsing"virtual network wall". 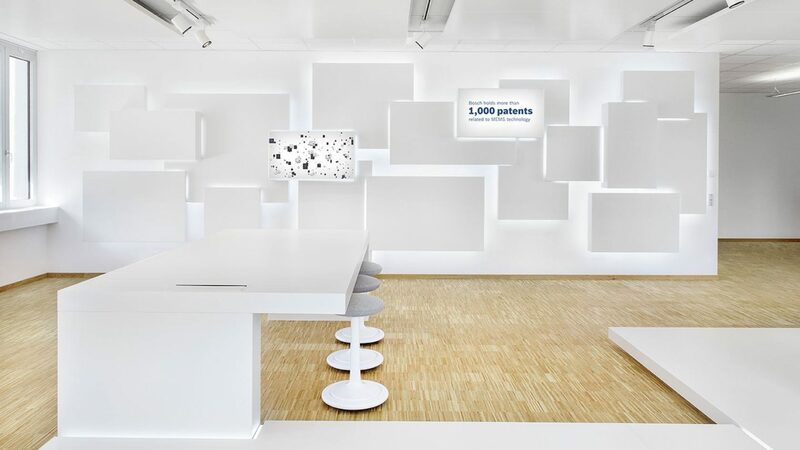 Seamlessly integrated, multifunctional media surfaces visualize current topics and facts of the young and extremely agile company. In the blink of an eye, they can also be used for interactive product demos and presentations. 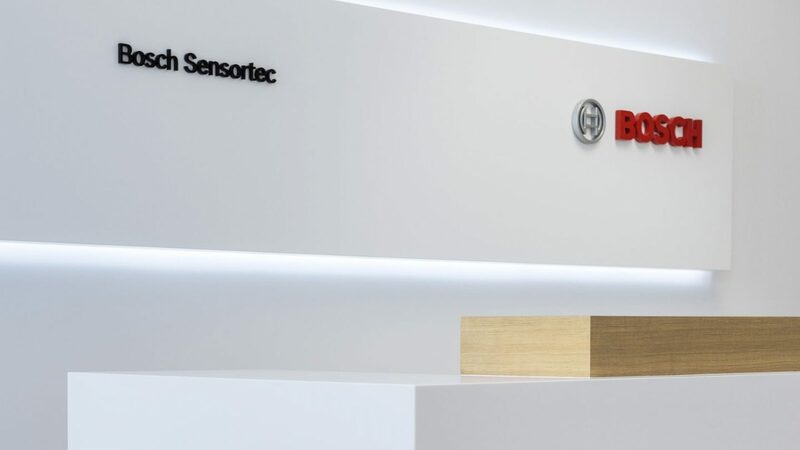 Bosch Sensortec´s focus lies on dialogue with customers and partners in an open atmosphere. 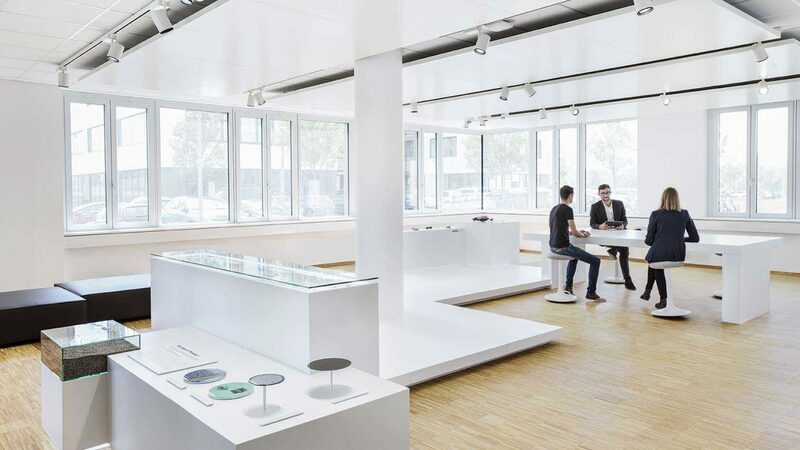 The centrally positioned table is not only a spatial gesture, but also offers space for workshops, whilst the current sensor product range and a whole array of electronic products with "MEMS Inside" are presented on two islands. 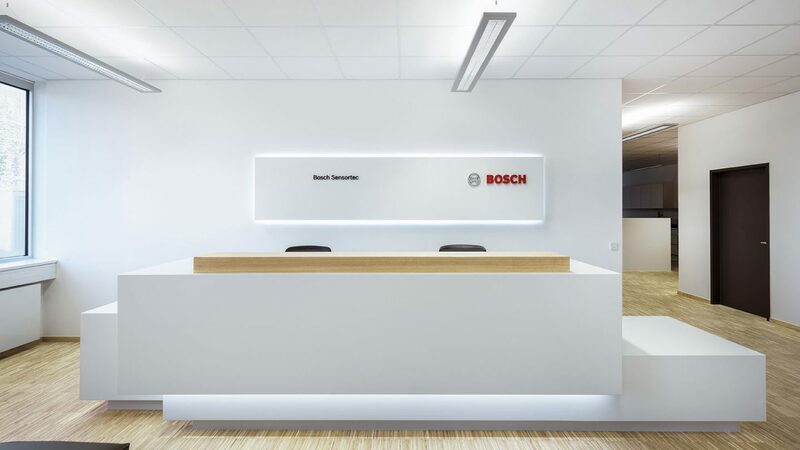 The entire foyer area is governed by design principles laid down in the spatial Style Guide for the Bosch brand developed by Milla & Partner in cooperation with Bosch. Six design principles form the basis, creating brand recognition and simultaneously offering space for site-specific design. The Style Guide has already been successfully implemented in the foyer of the new Research Campus in Renningen and at locations in Vienna and Tokyo.